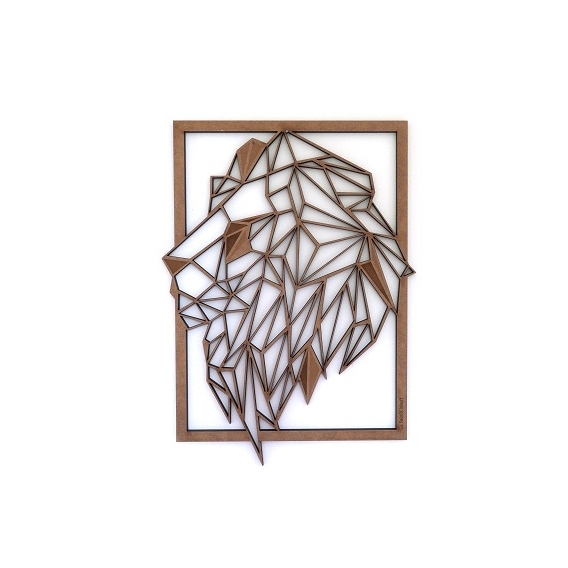 A lion's head that imposes with this wooden frame ! This wall decoration is made of medium wood. 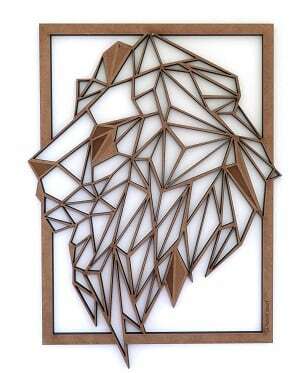 The size of this wooden wall decoration is 42.3 x 58 cm. Worldwide shipping for this interior decoration. In a majestic pose, wearing his mane, the lion is always recognizable. 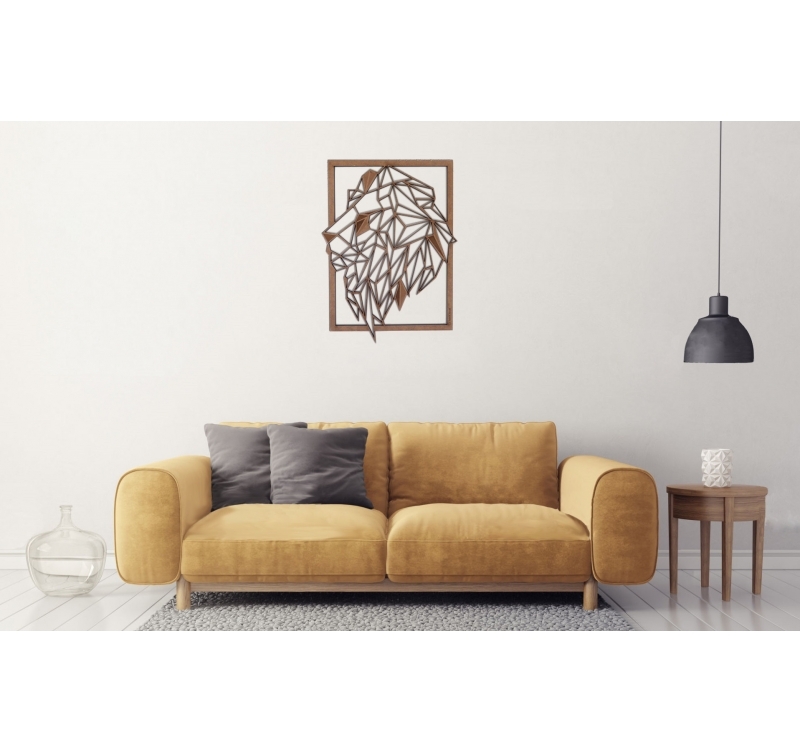 The savannah king as a wall decoration is a classic, but the artists of Artwall and Co have reviewed the subject for a more poignant and symbolic aspect. This square head that seems covered with abundant hair has a royal look. The lord of the animals is a regular when it comes to wall art design at Artwall and Co. 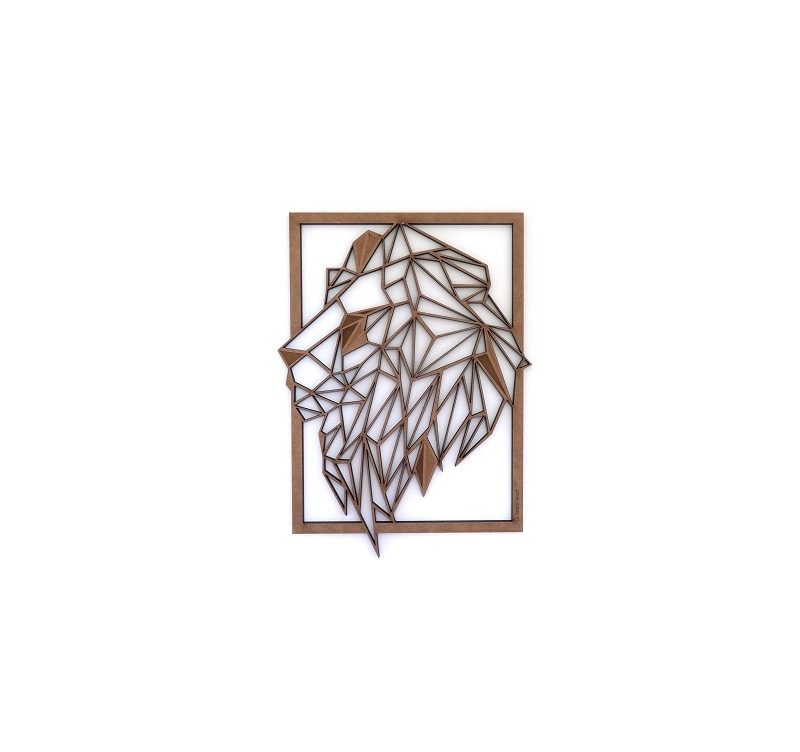 This time, even we see only triangles, quadrilaterals and pentagons, the wall decoration seems to give precise details on the face of this animal. This decoration is made of medium wood by our artists and is available in nature and black color. It is possible that traces of heating are present on the back of the decoration because of the cut. This frame is attached to the walls with our 3M hooks or with a hook on your wall (not provided by Artwall and Co).